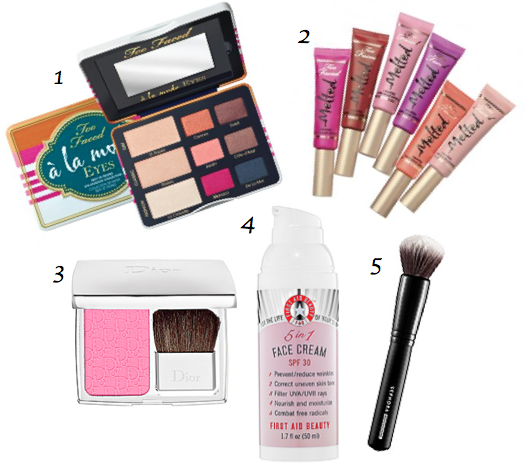 Spring Wish List 2014 and Too Faced Giveaway! My wish list is always a little ambitious, but a girl can dream, right? 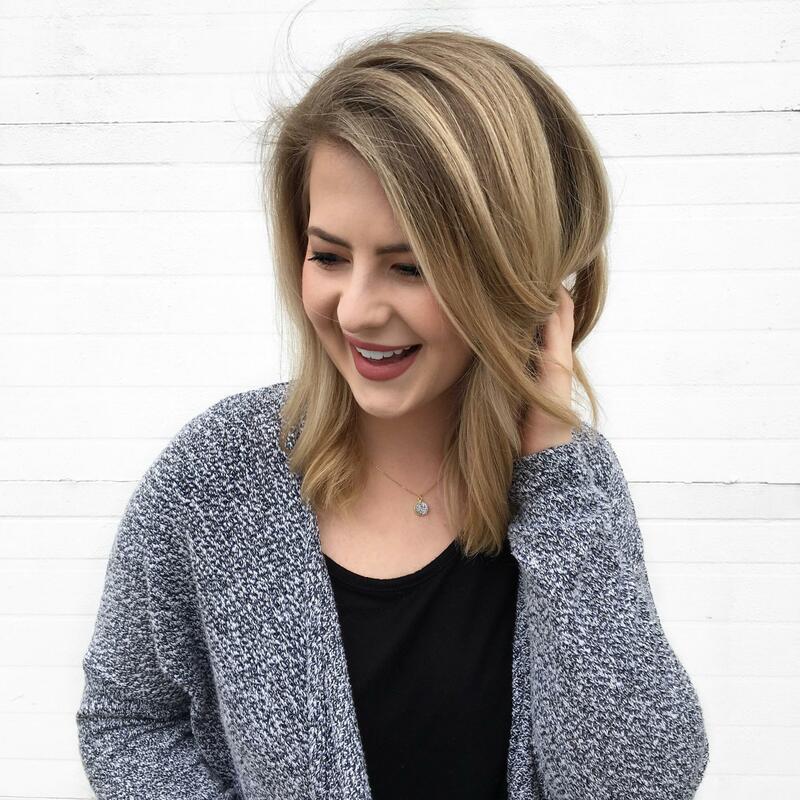 Here are some things I have my eye on for the Spring! 1. Too Faced A La Mode Eyes: This eye shadow palette is a part of the Too Faced summer line and I am in LOVE with these colors. They look absolutely gorgeous and overall seems to have good reviews so far. Plus, I love the Parisian, nautical theme! 2. Too Faced Melted: These “liquified long wear lipsticks” look amazing and super vibrant! I have my eye set on Peony and Coral. 3. Dior Rosy Glow Healthy Glow Awakening Blush: This blush has been on my radar for awhile now. I think the glow it gives would be perfect for Spring. 4. First Aid Beauty 5 in 1 Face Cream: I running low on my current face cream and think this might be next up to try. It has SPF 30 (great for summer) and looks like a nice all around face cream. 5. Sephora Collection – Classic Mineral Powder Brush #45: I’m in the market for a new mineral foundation brush and I think this one might be the ticket. Sephora brushes have really impressive reviews so I think I’m going to give this one a try. Also, I’m just letting followers of my college blog know that my personal blog will be the one being updated if you’d rather follow that. I actually caved and got the Melted Peony and love it! I’d definitely check it out I think they’re worth the extra money!